Timothy Watson has been appointed Head of the CCS Office, replacing Jerry Sovka who retired in December 2009. Tim Watson's schedule isn't likely to slow in the coming months. 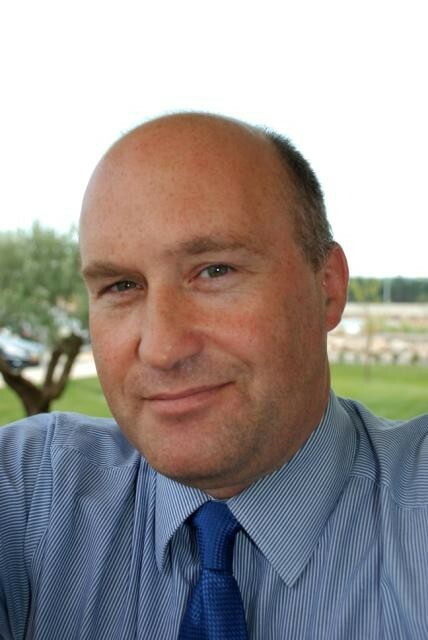 As Deputy Head of the Civil Construction & Site (CCS) Office since arriving at ITER in November 2007, he's been carrying out the day-to-day management of the office at ITER that is in charge of the preliminary design work as well as the oversight of design and construction for all infrastructure and buildings on site. This week, he was appointed to the top position in CCS, replacing Jerry Sovka who retired last month. "My job will be a challenging one," says Tim. "We'll be turning over the last of the preliminary designs to the Architect/Engineer soon to be appointed by the European Domestic Agency, Fusion for Energy (F4E), in April. We are also in the midst of preparing the fifth and final 'buildings and site' Procurement Arrangement for signature." Tim holds a civil engineering degree from University College London, and a PhD in rock mechanics from Nottingham University. He worked with a large civil engineering consultancy firm in London in the early 1990s, spending part of his time on major underground infrastructure projects in Hong Kong. At CERN for ten years, he was Deputy Head of the Civil Engineering Group in charge of all civil engineering work for the Large Hadron Collider including preliminary design, construction design, and the management of outside contracts. "The LHC project was similar in many ways to ITER," Tim recalls. "We managed four large design contracts and five large construction contracts with a small core team. Thirteen nationalities were represented in the external teams." Before joining ITER, Tim lived in Australia for close to five years, where he was director and part-owner of a geotechnical engineering firm, specialized in large civil engineering and mining projects as well as project management consultancy. He holds dual citizenship in Australia and the UK. Tim foresees a change of focus for the CCS Office in the year to come. The beginning of construction on the platform will mean more time spent on site—something Tim looks forward to. From the preparation of preliminary designs, the Office will be moving toward the monitoring and verification of design and construction. The Office will also be assisting the F4E and Architect Engineer teams in their requests for information, as they take possession of new JWSIII office space on the ITER site. A large order for Tim, the twelve other permanent CCS staff members, and the supporting staff from Jacobs Nucléaire who provide technical support through a long-term framework contract with CCS.